Don’t let lack of a touchscreen deter you from using Windows 10’s inking features. Check out this tip! In Windows 10, Microsoft introduced a number of inking capabilities throughout the operating system. These tools have a home in the Windows Ink Workspace, which is a centralized location for settings, apps, and features that take advantage of stylus peripherals included with tablet devices such as the Microsoft Surface Pro. Of course, if you’re a Windows 10 user who doesn’t have a stylus (or even a touchscreen), you might feel a little left out. But now, you don’t have to. 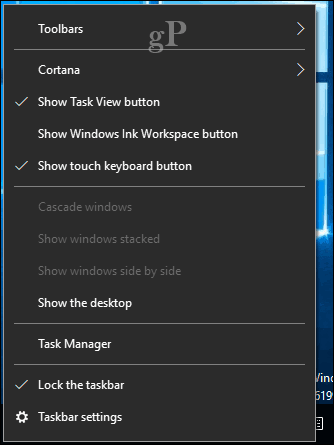 If Windows 10 doesn’t detect support for touch, you won’t see the Windows Ink Tools in the notification area. Not to worry, all you need to do is right-click the taskbar, select Show Windows Ink Workspace button then click it. That’s it! The Windows Ink Workspace button will appear in the notification area, where you can access features such as Sticky Notes, Sketchpad, and Screen Sketch. I must admit, using a mouse pointer instead of a pen is unsurprisingly awkward. There is just little control, especially if you are a novice. That being said, I have seen friends create works of art in Microsoft Paint, so I am sure there are many of you out there who could do just the same with tools available in Ink Workspace. The Windows 10 Creators Update offers even more exciting features for users interested in inking. Be sure to check out our previous articles covering some of these features including the new Ink Replay in Photos. Microsoft Paint 3D is also big on inking; our Paint 3D get started guide provides tips for learning the new features. The universal OneNote app also includes some excellent inking features you should check out, too. Let us know what you think in the comments. 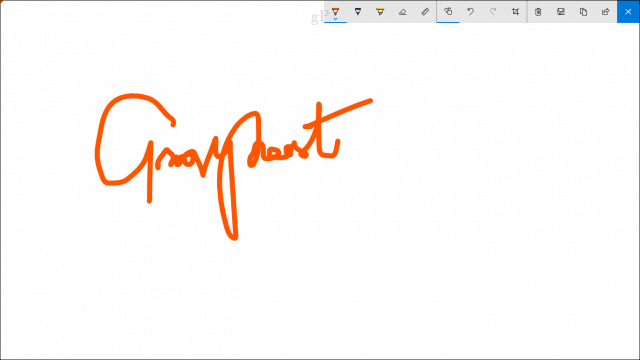 Do you find the Windows Ink Workspace useful without a stylus? Always Great Tips. Thanks again Andre! I have a tv for my Windows 10 desktop monitor, no touchscreen here. Is there a way to hookup my Android tablet to the desktop and then draw or write on it in Windows 10? Any other suggestions?? Thanks! Do you know of a way to pull up sticky notes from the keyboard? To use Windows ink with ease, by a $15 mouse pen that works on a 2.4 ghz usb receiver. More expensive mouse pens will also have right/left click and scroll.